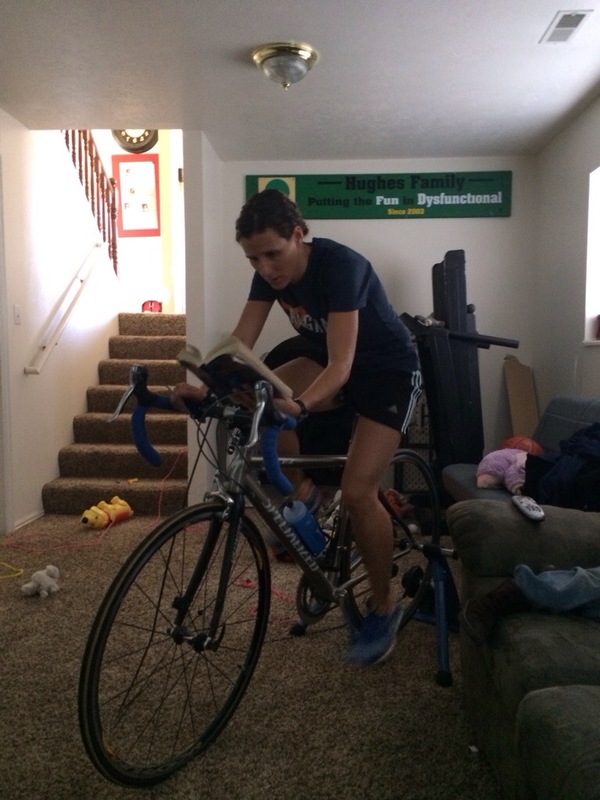 This morning I had my bike set up on the trainer in my living room. I rode for 1:01.56. It wasn’t the same as running but it was a good work out, none-the-less. I did my sit-ups right after. Well, hopefully I will be able to be out and running soon! 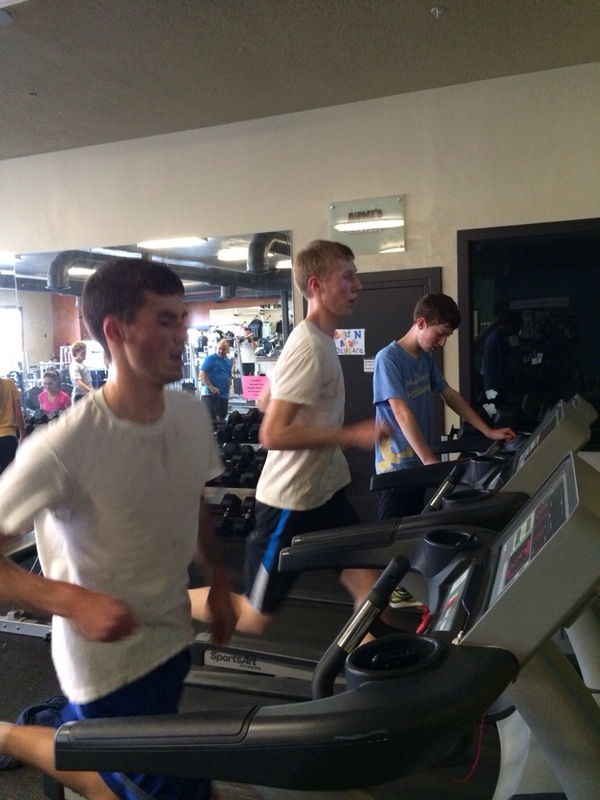 I met up with a few track kids at South Valley Gym today to give them an after workout, tread workout. 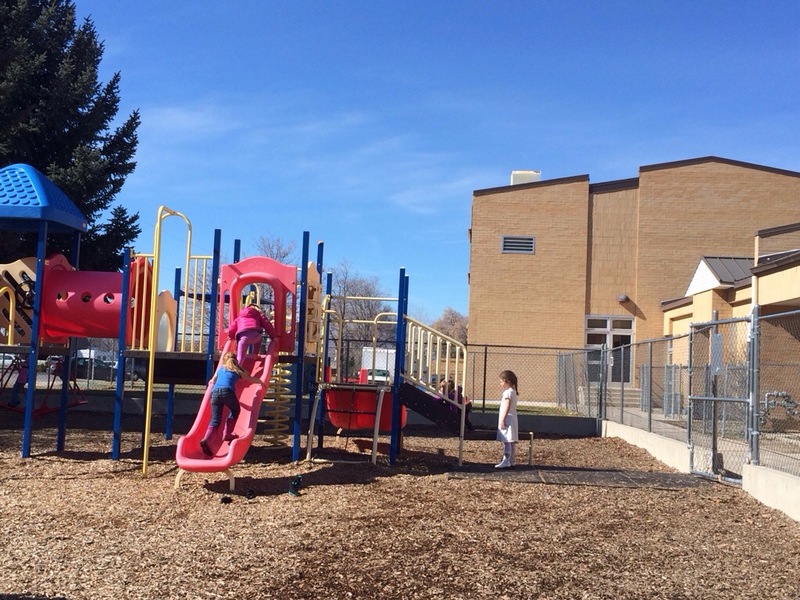 (This week we have off from track… Outdoor track starts Monday.) The kids that I met up with still wanted to meet up to get their work outs in. I told them to go on a 45 minute run and to meet me at the gym. 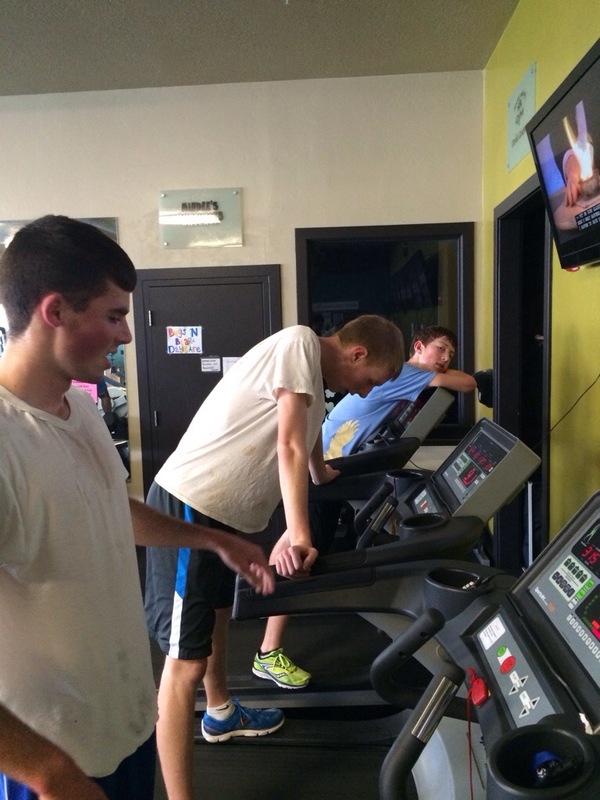 When they finished up their run, I put them on the treadmill. They turned it up as high as it could go (or as high as their level of ability) and ran hard and fast for 5 minutes. Looks like fun. 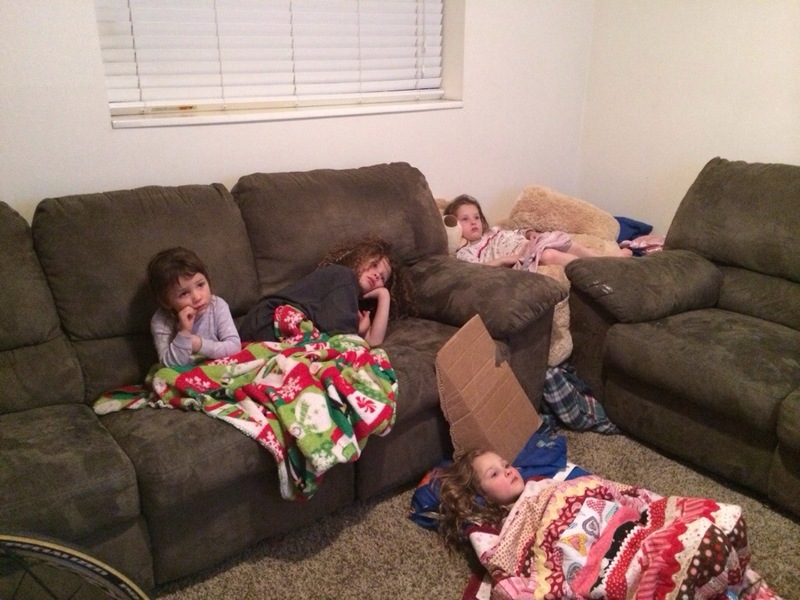 I bet the girls were trilled to lay on the couch/floor and watch a movie with you! Love this. Movie night looks like a fun and special time together!